Filling in Gaps When Needed. There’s Always a Way. Shawna had mother-to-be concerns no new mother should have to experience. She was in her last trimester and nearing the end of her pregnancy, however, she did not have a car seat for her baby to travel in for expected medical follow up appointments. 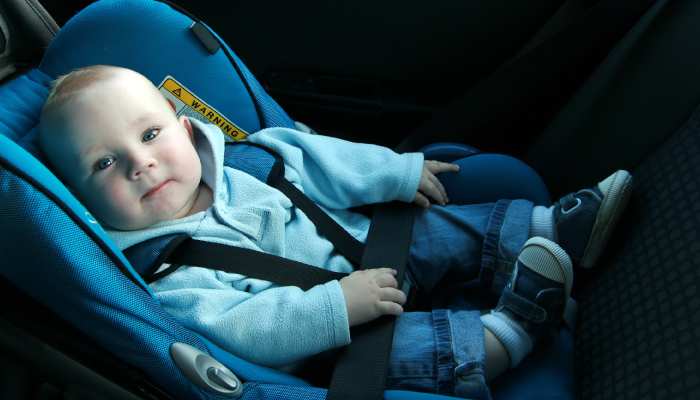 This member grew increasingly concerned about not having a car seat to take her child to the doctor once he or she was born. Her due date was fast approaching, but she was not prepared to transport her baby in a car in a safe manner. She actually feared that the State of Nevada might deem her unfit and actually take her baby away because she could not take care of it in a safe and appropriate way. Instead of being excited about the arrival of her baby, this mom was concerned about her unpreparedness and needed some extra help to ready herself for the big day. When hearing of this expectant mother's plight so close to the end of her pregnancy, LogistiCare's Customer Service Representative, Leila, decided to take matters into her own hands and lend a helping hand to Shawna. Leila purchased a car seat for the expectant mother herself...with her own money. Then, along with LogistiCare colleague Rita, the two personally hand-delivered the car seat as well as some gently used baby clothes to the mom-to-be. Thanks to Leila and Rita this new mom can now travel safely to and from her new baby's doctor appointments as well as anywhere else the family desires to go. That’s the kind of compassion and helping hand that shows up in LogistiCare’s call centers spontaneously every day. Our people care about our members and take a personal interest in their safety and well being. NOTE: Names have been changed to protect the rights of our members and partners. ←Do You Understand Your Health Care Plan? Preventive Services Are One of the Best Parts.